There was a time when being called a ‘geek’ seemed like a bad thing. Not anymore—with deep technology and digital disruption taking the world by storm, geeks are now in demand all over the world for their technical expertise. But how does one gain geek cred? 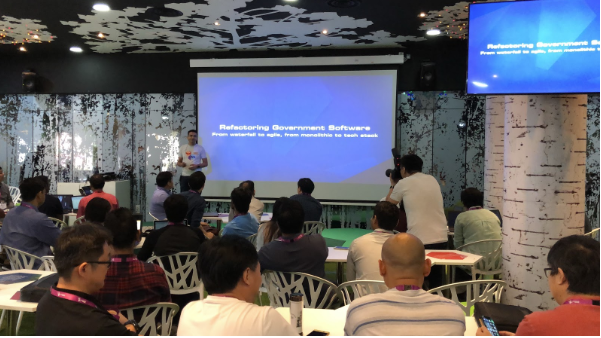 For starters, they could join GovTech’s GeekOut boot-camp, a five-day programme that ran from 18-22 June 2018 at the Singapore Management University. 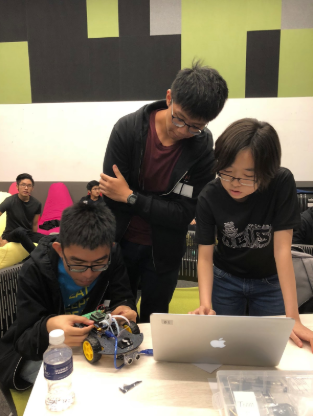 The workshop saw students from junior colleges and universities, who had close to zero knowledge of coding and hardware programming, assemble an Arduino-based smart car and code an app to control it. Experts at GovTech were on hand to help students kickstart their engines and troubleshoot problems. All these activities culminated in a race on the final day of the workshop, where each team’s smart car was required to complete a track both manually and autonomously. TechNews caught up with the winners of the competition to find out how they felt about geeking out with GovTech. While there was a fixed agenda during the five days, the participants were free to experiment and iterate as they built their smart car. 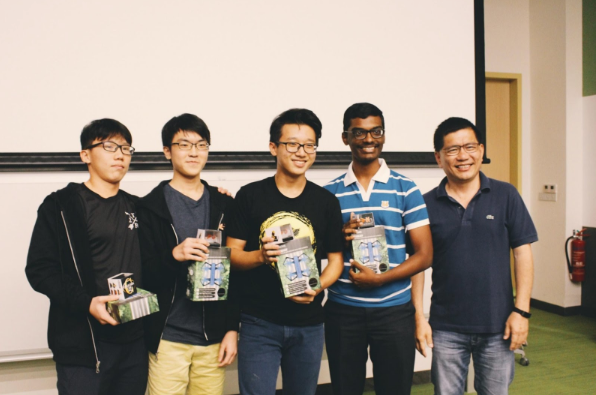 “We were given the freedom and autonomy to explore our own interests and try out new things, and that was very fun,” said Mr Wei Yuxin (JC1, Raffles Junior College) whose team was the overall winner of the competition. He described how he took some time to create a balancing car using an ultra-sound sensor. This was not part of the race requirements, but it was something he was curious about, and he implemented it anyway. In addition to assembling cars, assembling teams was just as important. This was something Mr Liew Zhao Wei (JC2, Hwa Chong Institution) found out when he worked with Mr Wei and Mr Sathappan Lakshmanan (JC2, NUS High School). At times during the workshop, that common goal—building a functional smart car—appeared out of reach. For example, Ms Kaitlyn Ng (JC2, Raffles Junior College) and her team encountered multiple setbacks, burning through not one, but three motor shields. Because of this, the group had to head down to Sim Lim Square to obtain new parts, then learn how to connect those parts using Bluetooth instead of wi-fi. “Despite all the challenges along the way, everyone in the group was very optimistic and patient. Whenever a problem cropped up, we treated it as an opportunity to learn a new lesson and just dove into it,” Ms Ng said. Their resilience and determination did not go unnoticed. 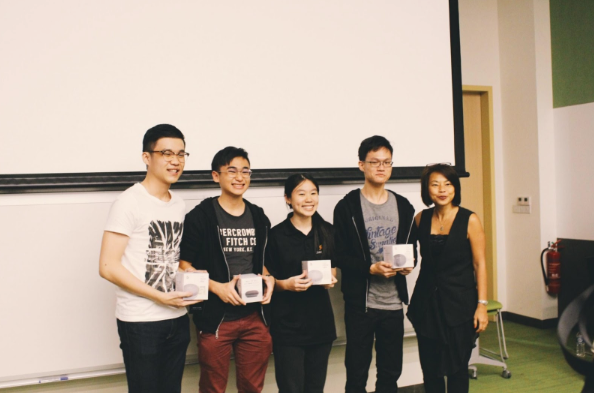 Ms Ng’s team bagged both the ‘Best Comeback’ as well as the ‘Fastest Autonomous Car’ award. Besides getting hands-on experience, workshop participants also had the chance to interact with Mr Chan Cheow Hoe, GovTech’s deputy chief executive and government chief information officer. In his closing address, Mr Chan highlighted the core values of GovTech—agility, boldness and collaboration—easily remembered as the acronym ABC. On boldness, Mr Chan commended the participants for leaving their comfort zones and experimenting with a platform—Arduino—that was initially foreign to them. Finally, he noted how collaboration is crucial to success.